Mako—the discovery of this natural resource drawn directly from the planet’s life force marked the dawn of a new era, and now the energy sustains the lives of people across the world. 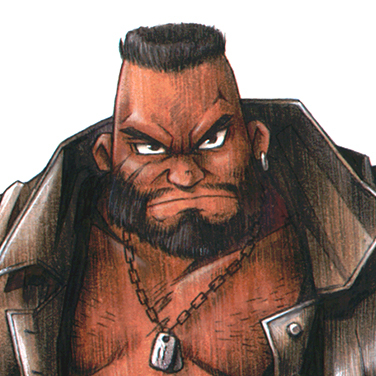 However, the Shinra Company has monopolized mako production, and in doing so established a powerful hegemony, its influence reaching the far corners of the globe. Cloud is a mercenary hired by AVALANCHE. He claims to have been a member of SOLDIER, but is reluctant to reveal much of his past. His confidence in his own abilities can make him seem aloof. 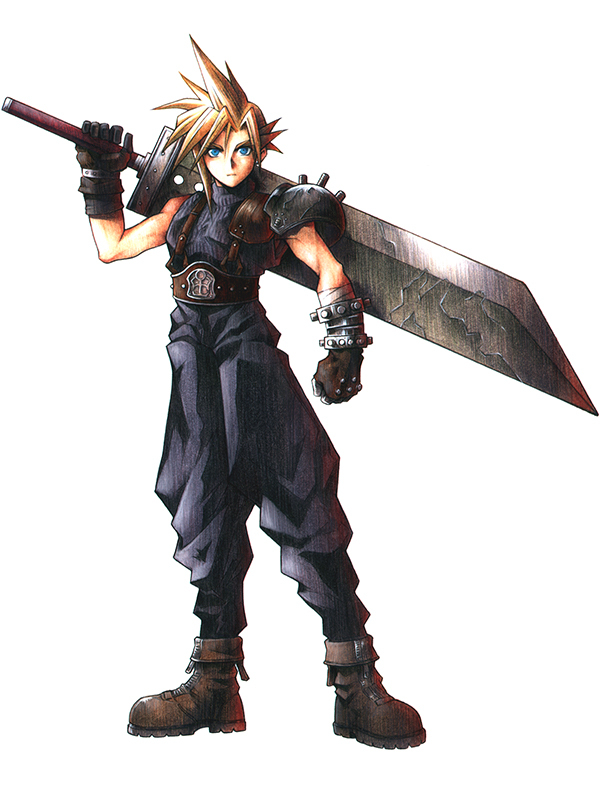 Cloud is capable of extraordinary feats in battle and he is able to wield the enormous Buster Sword with ease. 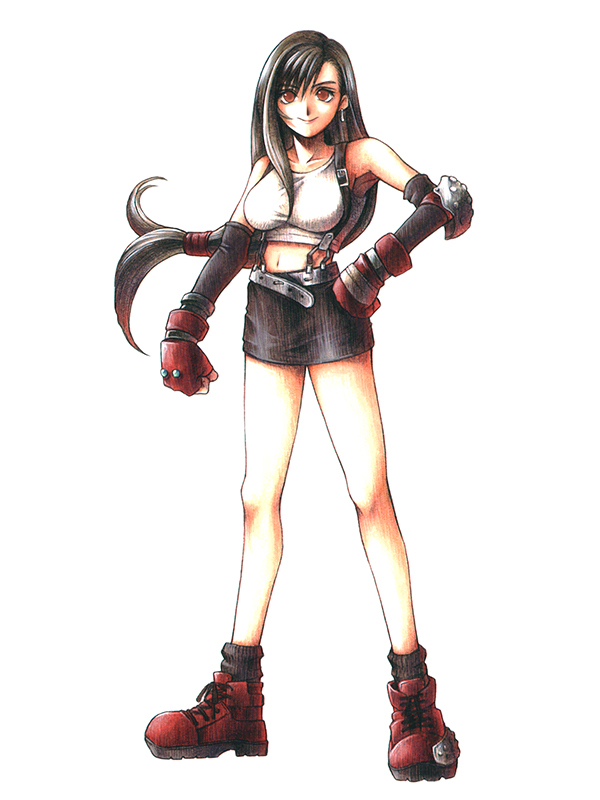 Tifa works as a barmaid and is an active member of AVALANCHE. She grew up with Cloud and senses that something is amiss when they are reunited. 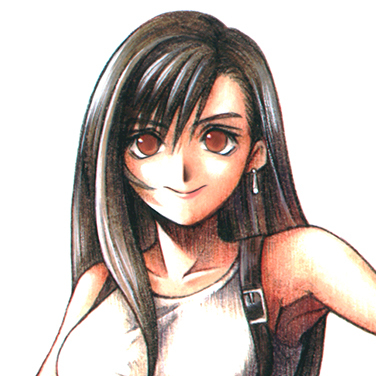 Tifa tries to hide her concerns behind a cheerful smile and is more sensitive than she is prepared to admit. Any hints of shyness soon disappear when she takes to the battlefield, as she pummels her foes with rapid strikes honed through years of training in hand-to-hand combat. 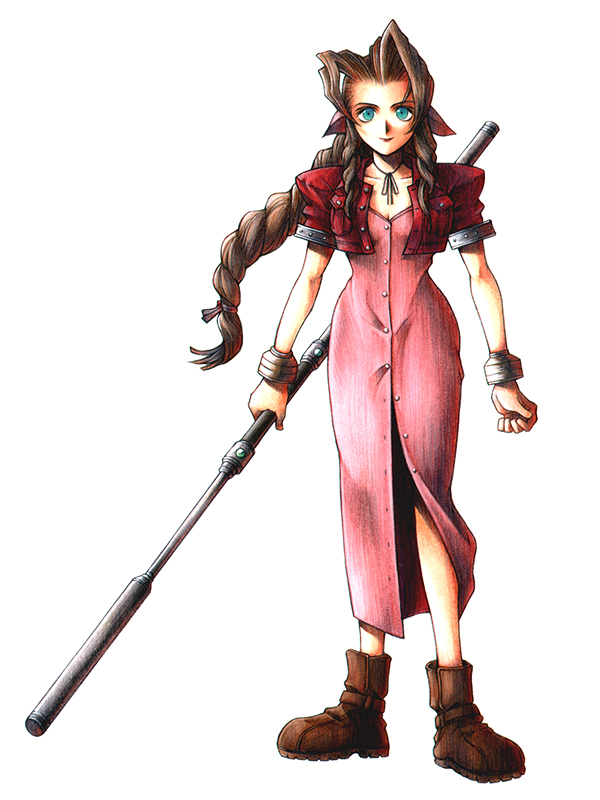 Aerith sells flowers in the slums of Midgar and wishes only to lead a normal life. When the Shinra Company discovers that she possesses certain unique qualities, they send their elite agents, the Turks, to abduct her. 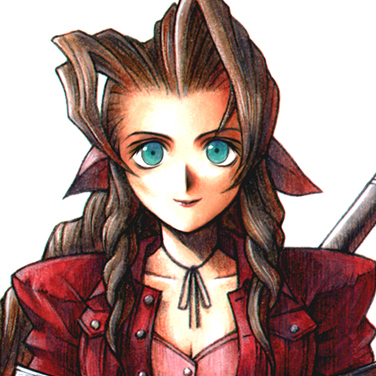 Cloud's timely intervention marks the beginning of Aerith's journey to find her true purpose. She remains upbeat in the face of untold danger and is determined to fulfill her destiny. 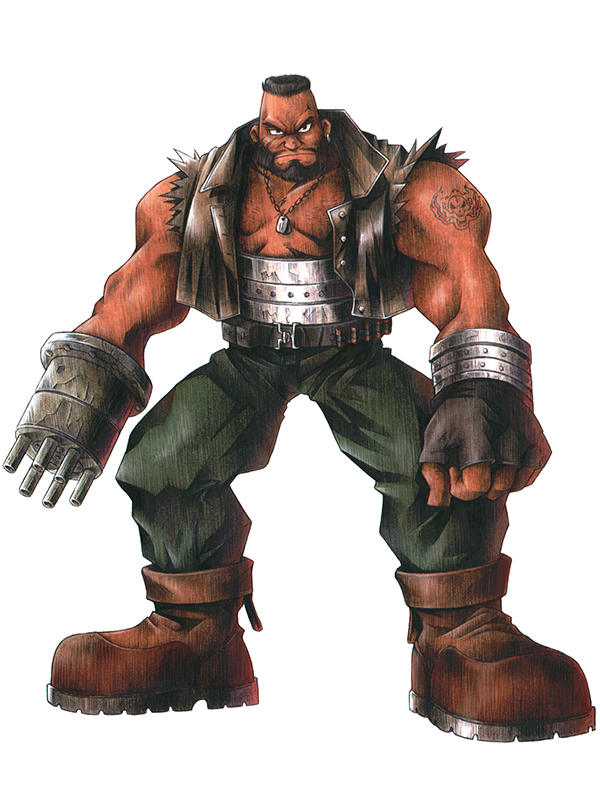 The AVALANCHE leader Barret goes to extreme lengths to oppose Shinra's tyranny. 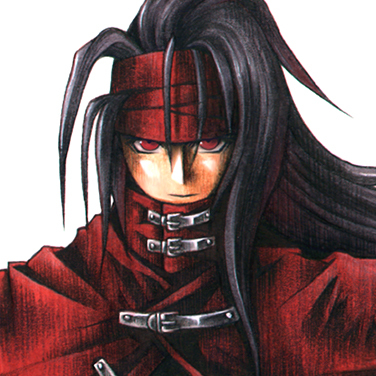 He states that his hatred stems from Shinra's abuse of the Planet, but in truth, his grudge is a personal one. Barret finds himself torn between his commitments to AVALANCHE and his responsibility to his adopted daughter, Marlene. After losing his right hand, he had a prosthetic attachment grafted onto his arm, which allows him to equip a range of mechanical weapons. 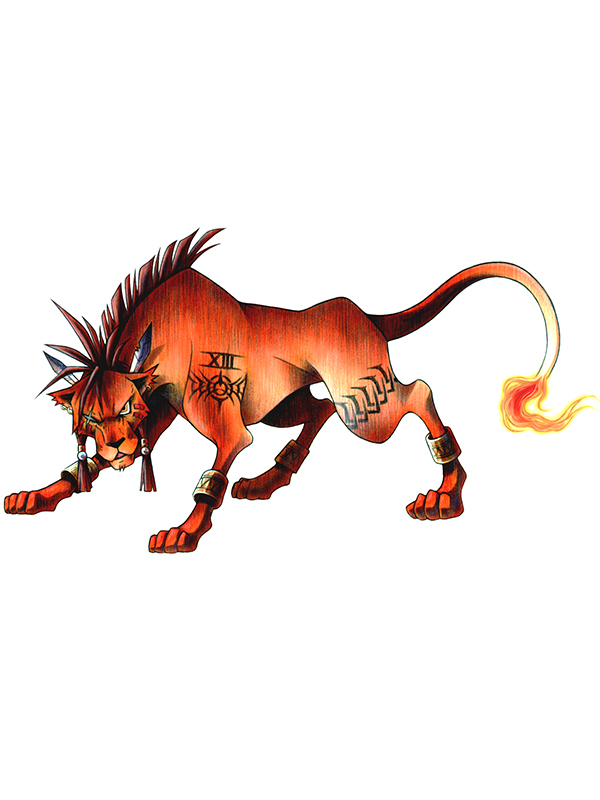 "Red XIII" is the name he was given by Shinra after being captured for experimentation. He is the last survivor of his race, whose lifespans greatly exceed those of humans. Despite being approximately forty-eight years old, his mental age is closer to that of a sixteen-year-old human. 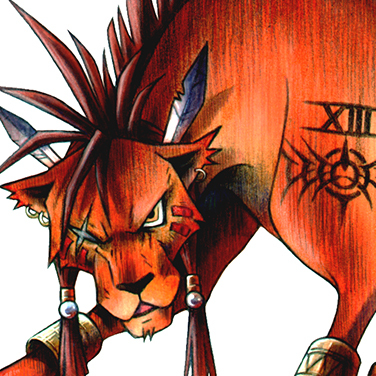 His fearsome appearance is at odds with his gentle and somewhat naive nature. 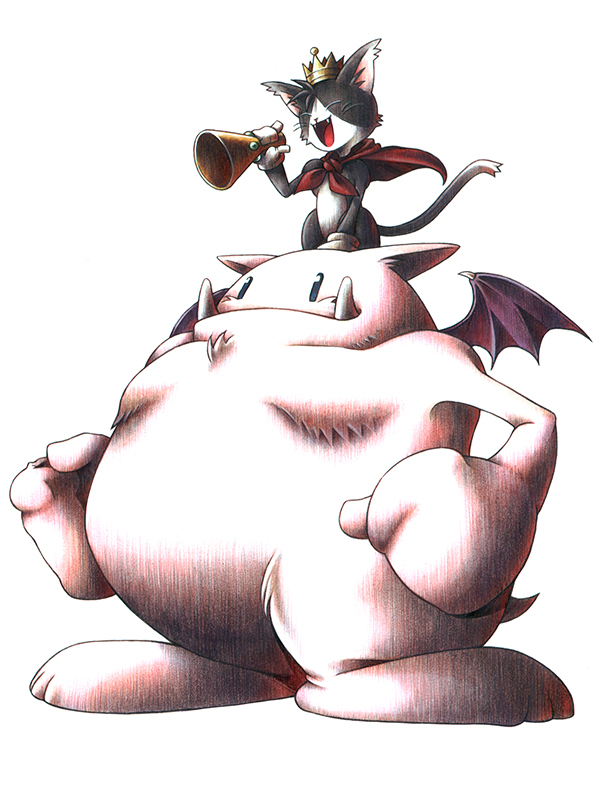 Cait Sith is a robotic fortune-telling cat that rides an enormous moogle doll. He seems more suited to a role as a theme park mascot than a participant in battle, but his unpredictable attacks make him a surprisingly effective addition to the party. 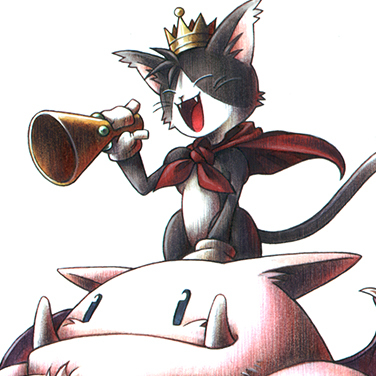 Cait Sith's jocular persona masks his true agenda. 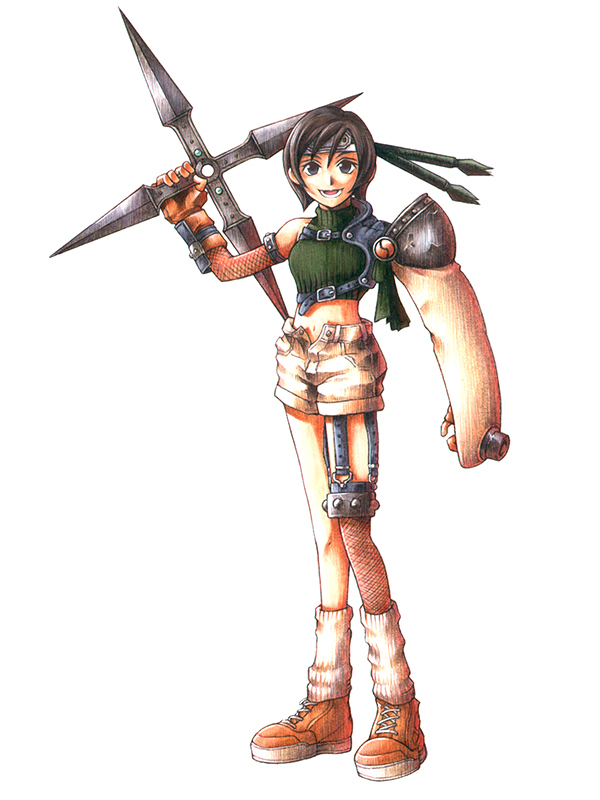 Yuffie set forth from Wutai in search of materia in the hope of restoring her homeland to its former glory. 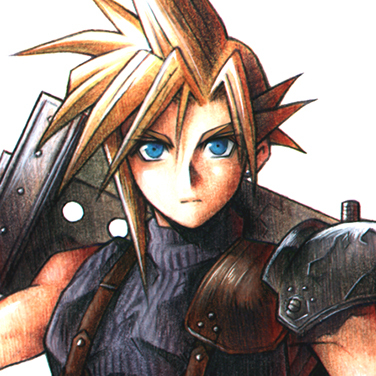 After deciding to tag along with Cloud's party, her mischievousness and dishonesty cause countless problems. 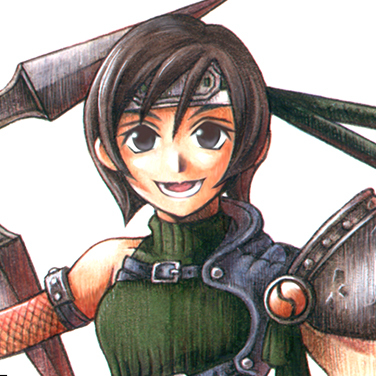 Despite her youth, she has mastered many ninja techniques and is a capable fighter, striking from long range with her oversized shuriken. 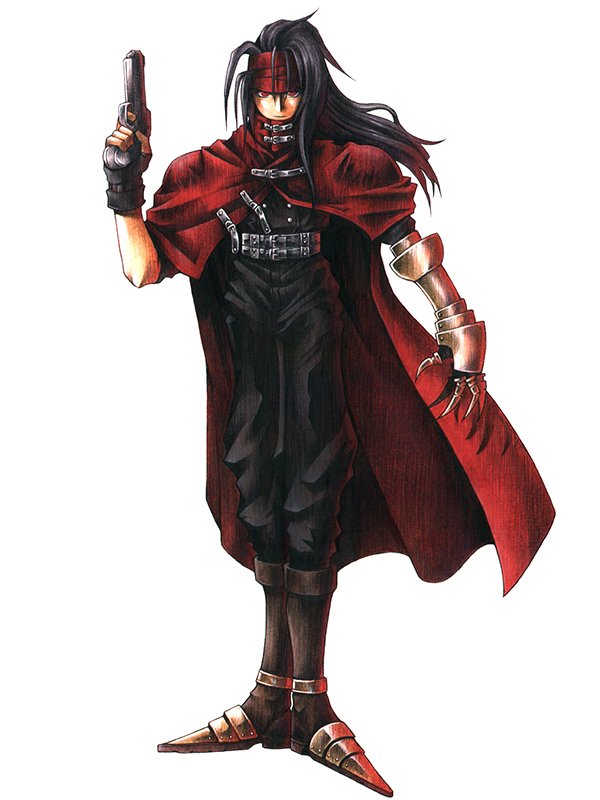 Vincent lay in a coffin deep below the Shinra Manor, torturing himself with nightmarish memories to atone for the mistakes of his past. He was subjected to horrific experiments against his will at the hands of Professor Hojo, granting him a body that does not age and the ability to shift into monstrous forms. 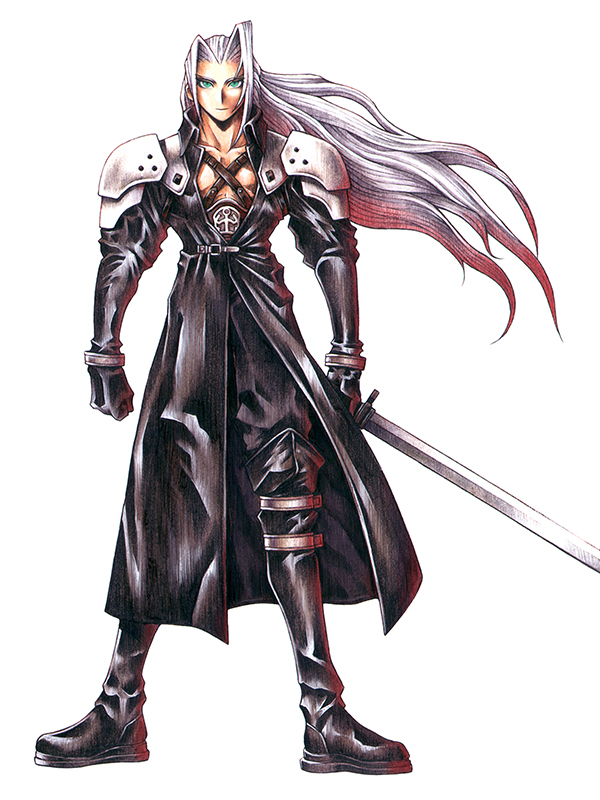 When he learns that Cloud's group is pursuing Hojo, he sees an opportunity to exact revenge. 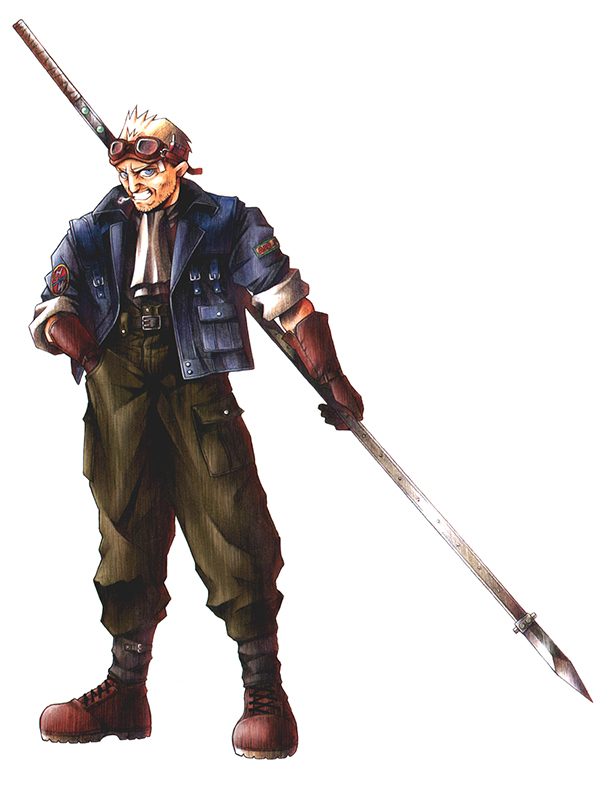 Cid dreamed of being the first man into space and joined Shinra's Space Program. After years of preparation, the program was canceled, leaving his ambition unfulfilled. He remained in Rocket Town, with the abandoned spacecraft a constant reminder of what might have been. 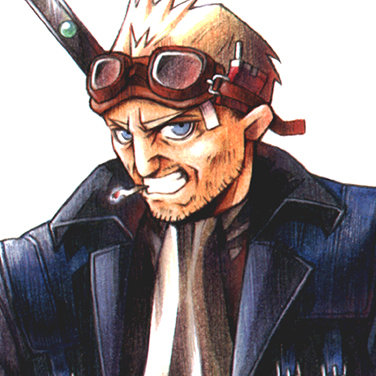 Cid is quick to anger and foul-mouthed, but cares deeply for those close to him and displays admirable leadership qualities. 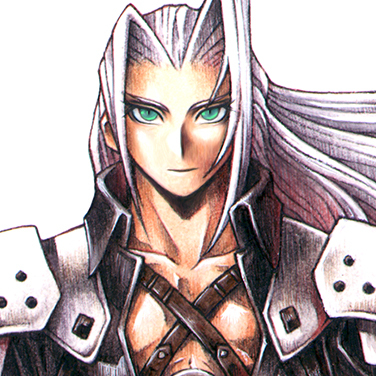 Sephiroth, the legendary member of SOLDIER, was once hailed as a hero. He disappeared without a trace five years ago during a routine mission and has not been heard of since. His reputation as an inhumanly powerful warrior remains to this day.